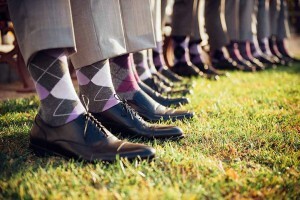 One of the subjects we’ve yet to cover on ‘Guy Style Guide’ is socks. Finding the ideal pair isn’t as difficult as you might think, and today I’m going to introduce you to dress sock possibilities. Let’s take a look at the various fabrics, textures, lengths and colours you’re likely to find in the highstreet and which ones will work best for you. In a first for ‘Guy Style Guide’, today I’m featuring a fantastically written guest post: It comes from Sam over at ‘Gambie Clothing’, a fantastic blog that sifts through everything the internet has to offer and serves up only the finest nuggets on men’s fashion, fitness and lifestyle. Behind every well-dressed man you can find a string of clothing malfunctions. Although you think your closet is a sartorial paradise, I can assure you every guy has at least one demon lurking at the back of the cupboard.